Tuesdays - Saturdays: Noon - 6 p.m.
Sundays: 1 p.m. - 6 p.m.
Daily admission for DeKalb Co. residents is $3 (adults 18 and over), $2 for youths (ages 3-17) and free for children under 2 years of age. Annual pass is $45. 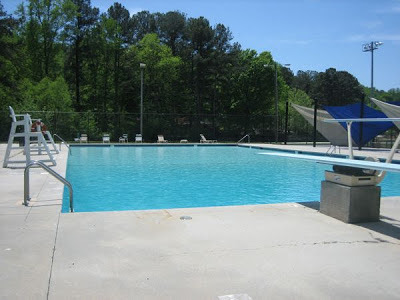 The pool will be open through August 2. It is unknown at this time if the pool will open for additional weekends in September. See DeKalb County's Aquatics brochure includes pool hours, swim lesson schedule, etc.